Lots of awesomeness at CrossFit Kirkwood! Check out the highlights from the past 10 days!! First of all, Carin Moore reached her goal of a kipping pullup!!! John was upset he didn’t get a pic, because he was too busy cheering her on while she strung 2 together!!! Great job, Carin!! Looks like the CrossFit Endurance class is hard at work. Might be time to give it a try, eh? 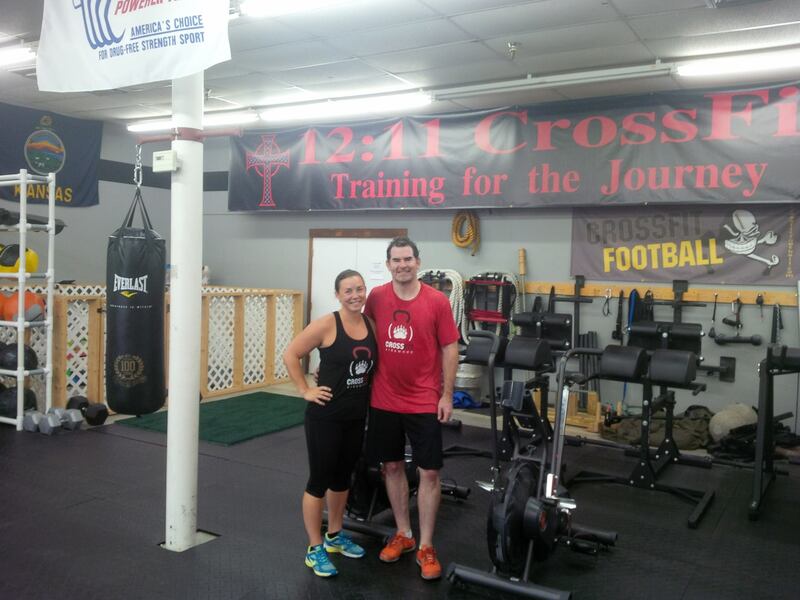 Last Monday, we tackled a CrossFit classic in Grace. Thirty C&J for time. Seems easy until about half way through. Those last reps are TOUGH!! Nice job to everyone on this one. Tuesday brought lots of groans about all of the burpees. But you KNOW burpees make you more fit, right? Check out this article that beautifully articulates the awesomeness of the burpee. Don’t worry, we won’t do burpees EVERY day. Or will we…. 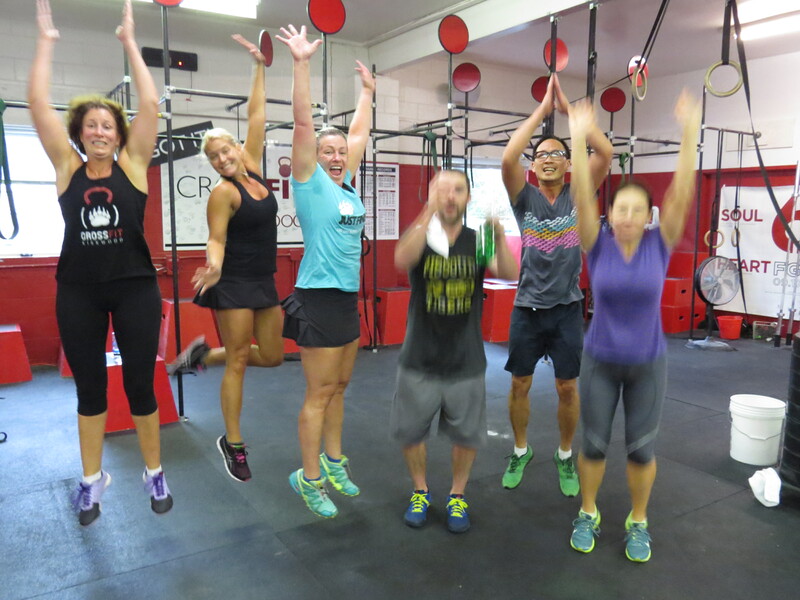 This class couldn’t contain their excitement over the burpees! 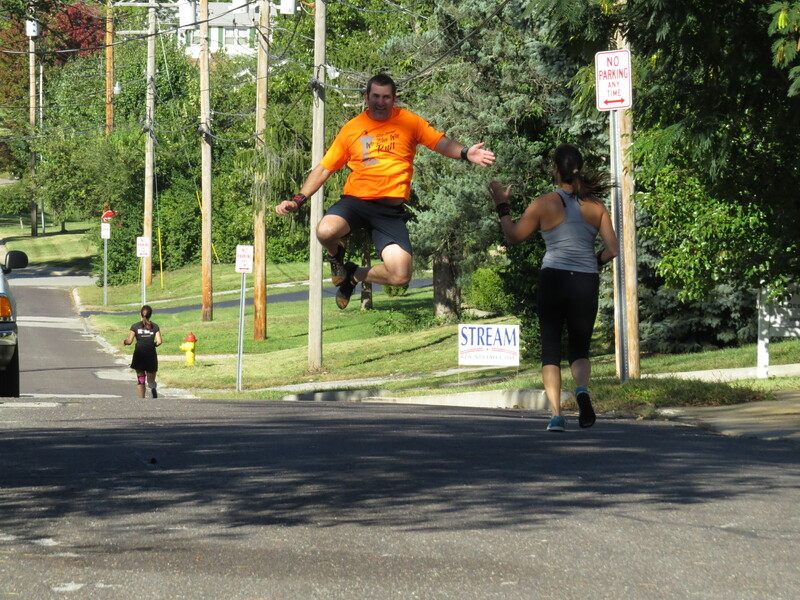 Apparently, Ken LOVED Wednesday’s WOD of OHS, double unders, and running! And Thursday was one of my favorite workouts. A partner 5k row. This is less like an endurance event and more like five 500m sprints. Great times and great efforts all around! A great week with our great athletes! Keep up the good work! !